I suppose one could get excited about the wondrous "breakthrough" on Brexit, news of which is dominating the media. There are however, a few small problems which could serve to dampen spirits just a little. The first of these little problems concerning which is described as a "technical agreement" between the negotiators, is that no one in the UK - outside the very limited band of officials and cabinet ministers – has actually seen a copy. Nobody currently commenting in public on it, including (or especially) the media, has any certain idea of what's in it. Secondly, considering that this is supposed to be an agreement between two parties, there is that very odd silence from Brussels, where we have yet to see an official statement. And we are seeing nothing like the situation of December last when the joint statement was published simultaneously on both the Commission and the UK Government's websites. One can speculate on all sorts of reasons as to why this should be the case, and why this apparent deal is being handled in such an odd way, but the most obvious thing is that Mrs May wants to have the backing of (what's left of) her cabinet before going public, to give her a head start in the publicity stakes. As with all these things though, the devil is in the detail and, as it stands, there isn't a lot of (reliable) detail to be going on with. We seem to have gravitated from a "no deal" scenario to an invisible deal, redolent of those secret treaties the great powers of old used to sign. On reflection, I'm surprised Mrs May hasn't thought of this before. If she could keep the withdrawal agreement secret, then there can be no argument over the details and the MPs could cast their votes on what they think the deal means – which is probably what they're going to do anyway. It stands to reason, though, that the sticking point(s) must have been resolved – or fudged in such a way as to pass muster. And from what we understand, the "backstop" is now "fixed" in such a way that a joint arbitration panel can rule on when it is no longer necessary, although the details are frustratingly vague – which is undoubtedly the intention. Nevertheless, that which we do know (or don't) has been sufficient for the "usual suspects" to erupt in condemnation, branding the deal a betrayal. This rather suggests that even if Mrs May gets her invisible deal past the cabinet, she is still going to meet considerable opposition from within her own party – to say nothing of the DUP which, as yet, has not been shown the agreed text. 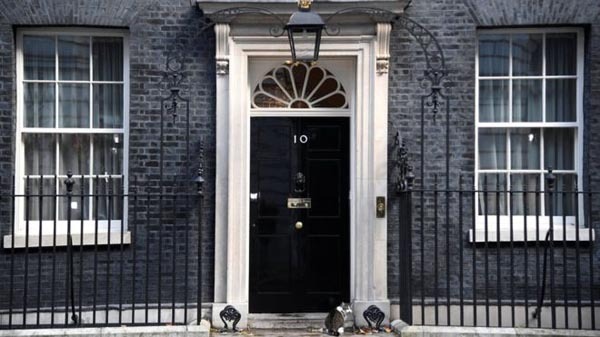 With the general public – and us mere plebs – in exactly the same position, there is nothing left but, for those who feel so inclined, to await the crumbs from the media table, in the wake of an emergency cabinet meeting scheduled for today. One then presumes that, if Mrs May still has a functioning government, the EU will be prepared to set up its November European Council after all. Oddly enough (or perhaps not), the Irish cabinet is also meeting today, actually at 9.30, beating the slothful Brits to the punch. They are not due to meet until the afternoon. Until we all see the detail, though, there is not a great deal of point in adding more noise to the cacophony. If the deal actually goes to parliament, the legacy media will be in its seventh heaven, as it can play the Westminster votes game to its heart's content. Meanwhile, of a more substantive nature, the Commission has published COM(2018) 880 final. It sets out the "Contingency Action Plan" as part of preparing for the withdrawal of the UK from the European Union. This has to be read in conjunction with COM(2018) 556 final/2, the update of which was published on 28 August 2018. The document reminds us that, regardless of the nature of any withdrawal agreement, the UK will still become a third country when it leaves the EU and there will be considerable disruption, adding to the earlier document. In that, Member States and private parties were being called upon to step up preparations for Brexit, following up a request by the European Council to intensify preparedness at all levels and for all outcomes. Of special interest to this blog – in view of the amount of coverage we've given the issue – the earlier COM notes that when the UK becomes a third country, and in the absence of an agreement providing otherwise, the strict EU rules in relation to sanitary and phytosanitary (SPS) conditions and controls on animals, plants and their products, will apply to the UK as any other third country. It then states that trade can take place [only] once the sanitary and phytosanitary (SPS) conditions for the relevant agri-food products and the corresponding certification and control requirements are established. Physical infrastructures, it says. will have to be put in place to allow all movements of live animals and animal products (including food of animal origin), and certain plants and plant products, to go through Border Inspection Posts (BIPs) at seaports, at airports or at land, as required by EU rules. The capacity of existing posts may need to be increased while new posts will also be necessary. This only confirms what we've been saying for better than two years, but I am still not sure this message has percolated fully into the collective brains of government, parliament or the media. It is certainly the case that the implications haven't been fully understood. Such issues need to be given far greater emphasis then they are currently getting, as it is most unlikely that there will be a waiver on any of the provisions, which will apply even in the event of a free trade agreement being negotiated. To an extent, the emphasis on Northern Ireland and the border has been a distraction. Border controls will have real impact on people's lives, and severely handicap our trade arrangements, yet very little planning seems to be in place to deal with the consequences. In some respects, however, the situation is not going to be as bad as has been feared, and there is some provision for bilateral agreements between the UK and EU Member States. There is reference to this in the Commission's current COM, but the possibilities were highlighted in a recent report to the French Senate, translated by Guardian journalist Kim Wilshire. The French government, it appears, would be prepared to continue arrangements for the mutual recognition of qualifications, and for agreements "to ensure the continuity of the flows of road transport of goods or persons". Specifically, the intention of the Government is "to unilaterally recognise in France for a temporary period, on condition of reciprocity, the validity of the certificates and authorisations enjoyed by companies established in the United Kingdom, as well as the professional titles issued in the United Kingdom". The stated purpose of this is to enable the carrying out of road transport operations of goods and persons by British carriers. This would be done by prolonging at least temporarily the conditions under which these companies operate on the French territory, in order to avoid any sudden interruption of flows to France or in transit on the territory of France. The Senate report is careful to note that such provisions would only be taken in the absence of measures at Union level, which in many ways would be preferable. Should the UK have to rely on bilateral agreements, everything will have to be multiplied times 27, to give the same coverage that we currently enjoy. In the French case, either an agreement with the European Union, or failing that, a bilateral agreement with France, would be necessary to ensure that European Union carriers, and in particular French carriers operating in the United Kingdom, enjoy the same advantages as France, those granted in the territory of the Union to British carriers. Notably though, in COM(2018) 880, the Commission asks Member States to refrain from bilateral discussions and agreements with the UK, "which would undermine EU unity". The caveat, of course, is quite important, but it is also interesting to see that the French Government in some areas is acting unilaterally, while expecting reciprocity. These are not bilateral agreements as such, but coordinated unilateralism. Such detail has been largely obscured by the "high politics" of the withdrawal agreement, and if we are getting to the point where this is to be resolved, then it would be a welcome relief, allowing us to start concentrating on the many practical issues that need to be settled before the essence of normality can be restored in our post-Brexit relations. This unusual streak of optimism, though, should not conceal the fact that our earlier analyses have drawn the conclusion that there is no form of words in the withdrawal agreement that can simultaneously satisfy the UK government, the Westminster Parliament, the DUP and the EU. For all the media hyperventilation, therefore, we are actually no further forward today than we were at the beginning of yesterday, and it remains to be seen whether Mrs May's deal is just a flash in the pan. But as long as it remains the "invisible deal" we can live in hope. It's a pity in a way that it has to be spoiled by such boring things as details.